Looking for a luxury holiday cottage in Norfolk? LovetoEscape has a selection of luxury 4 and 5 star self catering cottages in the Norfolk, the Norfolk Broads and along the North Norfolk coast. Property to the left is Stable Cottage, Norfolk. 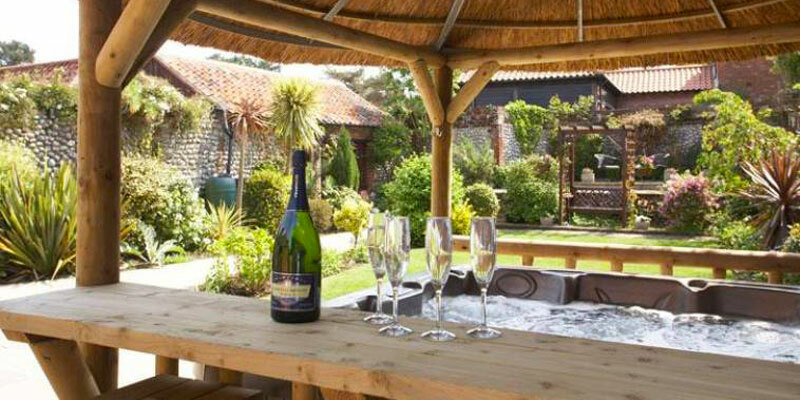 For those wishing to stay in luxury, there are plenty of luxury cottages on offer in Norfolk. Enjoy luxury cottages with hot tubs, indoor swimming pools, and saunas. The region offers beautiful coastline, forests, waterways and a range of attractions. The North Norfolk Coast is as an Area of Outstanding Natural beauty, renowned for its spectacular coastline, miles of glorious beaches, seaside communities and a beautiful rolling countryside and picturesque market towns and villages. The Norfolk Broads offers lock-free waterways set in picturesque countryside and with many charming and picturesque towns and villages. With miles of fabulous coastline, the Norfolk Broads, fantastic woodlands and forests, there are plenty of activities to choose from in Norfolk. Stay in one of our many luxury self catering cottages in Norfolk and enjoy everything the area has to offer in luxurious surroundings. 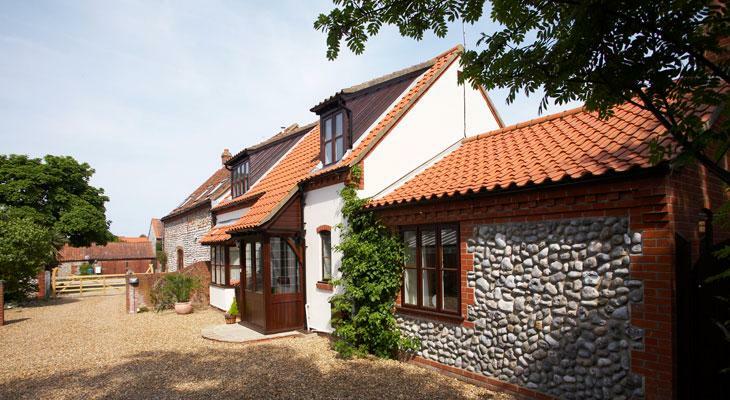 Stable Cottage, Luxury Self Catering in North Norfolk. Large luxury self catering holiday cottages. Sleeps over 6 guests. Ideal for a family get together, large group and special occasion. Luxury living space and hot tub. Please click here for more information on this luxury self catering holiday accommodation.